GE also launches a grid-wide communications platform, using WiMAX to link SCADA, AMI and other systems. General Electric, one of the giants in the smart grid field, has just made a couple of big new pushes into the worlds of automated distribution grid systems and grid communications, respectively. Chalk it up to keeping abreast of the competition -- and proving the company can support its smart-grid-as-a-service offering for the next generation of utility customer. GE’s new Grid IQ Network Communications Platform, launched this week, seems in particular to be aimed for the broad, all-inclusive smart grid services customer. The platform is built to support SCADA, smart meters and field-area gateways through a combination of fiber and microwave backhaul and industrial WiMAX radios, giving it the bandwidth to support a range of distribution automation functions. 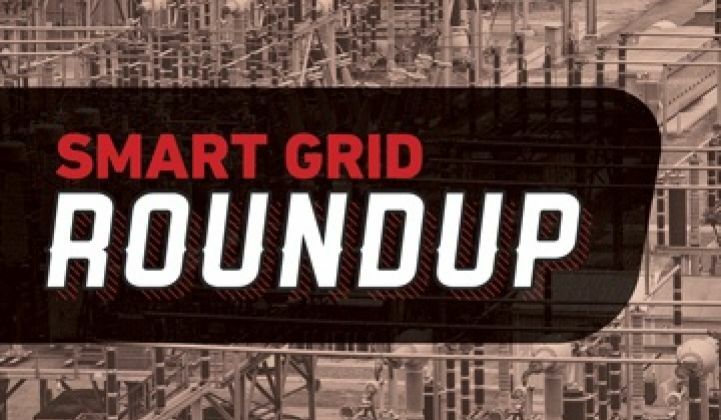 That seems to put GE squarely in competition with Cisco in terms of seeking to network the grid itself, as well as other players like Trilliant that offer both meter-to-meter and high-bandwidth, low-latency backhaul networks. GE’s choice of WiMAX for its core technology also puts it squarely in the private utility network camp, as opposed to the telecommunications providers and their partners (like SmartSynch) that want to provide smart grid networking capabilities over public cellular networks. Whether GE’s new platform is going to compete on a cost-per-meter basis with the wireless mesh offerings of its smart meter rivals is another question. GE has turned to other communications vendors -- such as Silver Spring Networks in the U.S. and Grid Net in Australia -- to link its meters in neighborhood area networks. As GE starts to expand its smart-grid-as-a-service business to municipal and cooperative utilities, however, it will likely want to take more and more of its communications responsibilities in-house. Along with its new communications push, GE made another announcement on the distribution automation side, launching its “End-to-End” fault detection, isolation and restoration system meant to be deployable on a substation-by-substation, feeder-line-by-feeder-line basis. Fault location, isolation and service restoration (FLISR) is one of the key features being promised by all of the smart grid giants, as well as by competitors like S&C Electric, Alstom Grid and others. We’re seeing deployments underway at NSTAR, EPB Chattanooga, and San Diego Gas & Electric and planned projects in the works at Pacific Gas & Electric and Southern California Edison. We’re also seeing announcements on this front, most recently from Telvent, the grid IT firm that Schneider Electric bought for $2 billion last year. Telvent launched its Advanced Distribution Management System last week, promising new automation capabilities including so-called “self-healing,” which is much like FLISR. Integrating automated equipment into existing distribution management systems means adding new software and communications capabilities to the utility command centers as well. Likewise, ABB has been bringing new features like model-based volt/VAR optimization to its distribution grid suite, through the help of Ventyx, the software vendor it acquired for nearly $1 billion in 2010. In other smart grid news, Monday saw Siemens and Boeing announce an interesting partnership with the Department of Defense, promising to deliver 40 percent energy savings and a 30-percent demand reduction capacity at “one installation” -- but the companies aren’t saying where. That’s an important point. The Defense Department is on the cutting edge of securing its smart grid systems, because it can’t afford to let hackers bring down its power. But at the same time, utilities and smart grid vendors around the world are under pressure to prove they can secure their smart grid communications and IT against intrusion or tampering. Boeing has been working on smart grid security projects since 2009, and Siemens has a broad range of power grid hardware, smart grid software and intelligent building control expertise to bring to the picture.